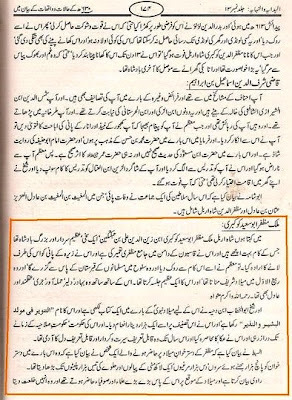 Observe how Wahhabi/Deobandi begin with a lie and end with a greater lie, progressing from calling King Muzaffar and the Ulema of the Umma as "irreligious" until they end up saying they "had no connection with the Deen"! “The celebration of the mawlid is an innovation in religion. Neither was it the practice of the Prophet صلى الله عليه و سلم nor did the companions or tabi’een celebrate this occasion. Scholars state that the first person to introduce the innovation (bid'a) of celebrating the Milad was the ruler of Irbil, Muzaffar ad-Din ibn Zain al-Din. This was six centuries after the period of prophet hood. 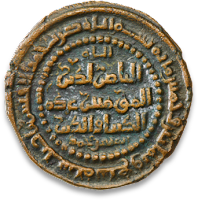 A ‘scholar’ by the name of Abul Khattab Umar bin Hasan bin Dihya Al Andalusi supported and assisted the king in this innovation. "Celebrating Eid Meelad al-nabi (the birthday of the Prophet) is not proved by Hadith and Quran. The companions of the holy Prophet Muhammad (صلى الله عليه وسلم) who held great respect and love for holy Prophet Muhammad (صلى الله عليه وسلم), they never celebrated Eid Meelad. It is the invention of Christians which was invented following six hundred years after the holy Prophet Muhammad (صلى الله عليه وسلم). We are not asked to celebrate the birthday or death-day of anyone. This day should be spent like other days. Allah (Subhana Wa Ta'ala) knows Best"
Is not the curse of Allah on the heads of the liars? What an irony of Deo-bandits; they celebrated 100th Anniversary in 1980 then 150th in 2001; how it could be? Secondly those who impose fatawas of Shirk and Bidaat on celebrating Meeladun Nabi Sallallahu Alaihi Wasallam are celebrating Anniversary of their so-called Darul Uloom. See the Mockery of Deobandi Scholars those who cry on celebrations of Meeladun Nabi are advising to celebrate Independence Day on 27th Ramadhan. 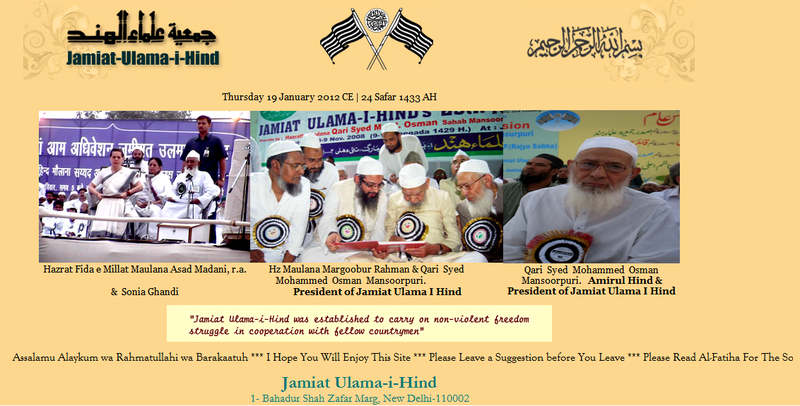 Was there any fatwa came from Darul Uloom Deoband of Shirk or Bidat on Ahtramul Haq Thanvi on attending Mehfi-e-Meelad. Professor Ghafoor Ahmed belongs to Jamat-e-Islami, same Jamat-e-Islami who blames Ahle Sunnat Wal Jamaat as Mushrik and Bidati because of celebrating Eid Meeladun Nabi Sallallaho Alaihi Wasallam. 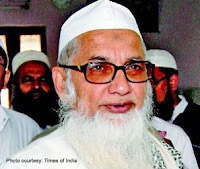 Muzaffarnagar (AsiaNews/Agencies) – A leading Islamic seminary, the Darul Uloom Deoband (pictured), has advised Muslims against celebrating birthdays, issuing a fatwa saying that Islam does not permit the practice, which is a "tradition of Western countries". Responding to a query of a student, the fatwa department of the country's biggest Islamic seminary said that Islam does not permit such celebrations as they are against the Sharia.The query was made in reference to the birthday celebration of Sir Syed Ahmed Khan, the founder of the Aligarh Muslim University. 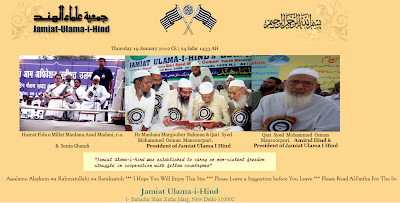 "Muslims should not follow the tradition of Western culture of celebrating birthdays as it against the Sharia,"
Naumani added that even the Islamic seminary does not celebrate the birth anniversary of the Prophet Mohammed, the founder of the religion. Ibn Kathir himself composed a text on Mawlid, made of hadiths, invocations of blessings on the Prophet (PBUH) , and poetry in praise of him. 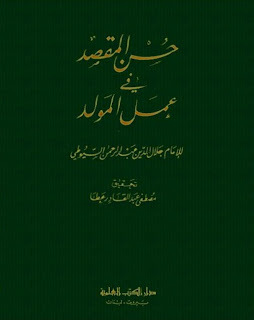 It is entitled Mawlid Rasulillah sallallahu `alayhi wa sallam, and was edited and published by Salah al-Din al-Munajjid (Beirut: Dar al-Kitab al-Jadid, 1961). Muzaffar, Abu Said Kukbiriyy Ibn Zayn ad-Din ^Aliyy Ibn Buktakin. He was one of the glorious, grand, and generous kings with many good traces. 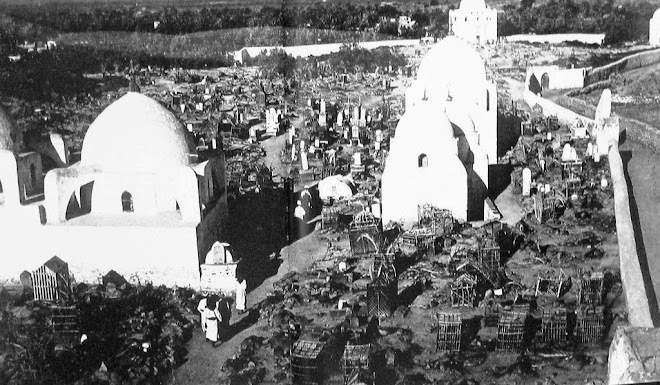 He is the one who built the Mudhaffariyy Mosque on the pinnacle of Mount Qasiyun. 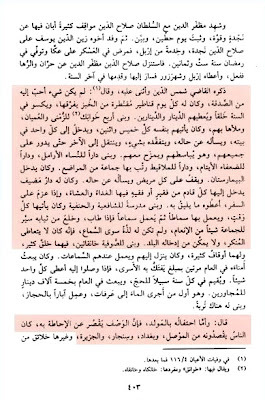 Ibnu Khalikan’s historical report says that Ahly as-Sunnah version of the Prophet’s birthday celebration was introduced in Egypt by Al-Malik Muzaffar Ad-Din Kukburi in 604 AH/1207 CE. 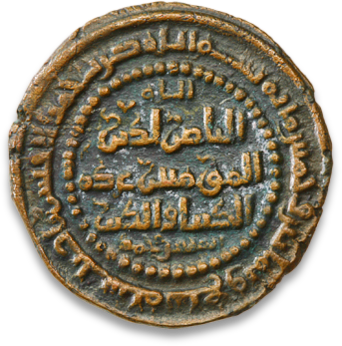 Kukburi was brother of Salahuddin al-Ayyubi (Saladin). These were the days of Crusade where almost 200 years waves after waves of crusaders from Europe came to the heart of the Muslim world in the Middle East to fight Muslims in their own countries. 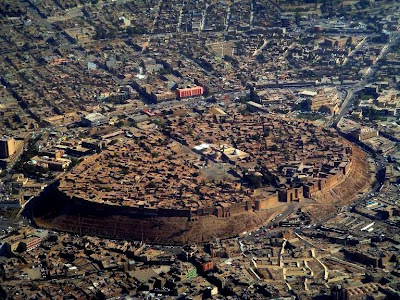 The Ruler of Irbil (Erbil, Arbil) in Iraq, Abu Sa`eed al Muzaffar bin Baktakeen Kawkabriyy, initiated the Mawlid in the 7th century hijriy. He was a pious, brave, just, generous and knowledgeable ruler and defender of Islam, who died while fighting the Crusaders in Palestine. He invited many Muslims including the scholars of Hadeeth, Tafseer, Fiqh and sincere Sufis and celebrated the Mawlid. The scholar of Fiqh, Abul Khattab Ibn Duhyah, wrote a book praising this doing and gave it to the king especially to be read during the Mawlid celebration. The doing of the Mawlid became known to the scholars in the east and west, who accepted it and pointed to the Islamic proofs which confirmed its validity. Among those scholars the imam of Hadeeth hafiz Ahmad bin Hajar al`Asqalaniyy, imam hafiz as Sakhawiyy and imam hafiz as Suyutiyy. Those scholars and others wrote several books praising the Mawlid and none of the Muslim scholars dispraised this celebration. King Abu Saeed Kokabri used to give alot of Sadiqa and offered salat regularly, He (Sultan Muzafar udin Abu Saeed Kokabri) was to built hospital for ill and blind and used to go to visit them on every Thursday, He built separate houses for orphans same for women, He specially used to go to hospitals to visit them in hospitals, built seperate Madaris for Ahnaaf and Shawafa and for sufis he built Khankaas. Words cannot explain the way in which Mehfil al-Mawlid Mustafa (Peace Be Upon Him) was celebrated by Malik al-Muzafar, People used to go to such mehfils happily from Arab and Iraq, and used to sacrifice cows, camels and goats in large number and a lot of types of food was made, He used to arrange Mehfils for Sufis and used to do Khutbats in huge grounds and used to spend a lot of money in them, Ibn dhaya when wrote a book on 'Mawlid un Nabi' so he gave him One Thousand Dinaar, he was a happy and pious Sunni, he used to love Fuqaha and Muhadiseen alot, .......One person in those Mehfils of Mawlid used to say that 100 beautiful horse used to be there for Salami, I saw Five Thousand stitched heads, Thousand hens, and one lakh Milk Filled Cups, and 30000 Sweet Dishes were seen on Mehfil al-Mawlid. 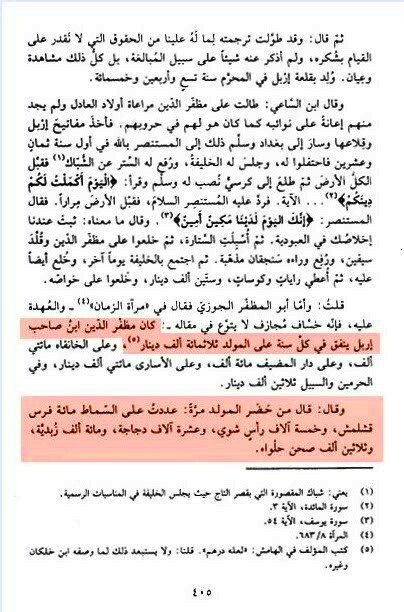 al-Dhahabi (rah) writes that, this King was of good 'Iqhlaq' and 'Helpful' and used to have Ahl as-Sunna'h (Sunni) beliefs, he used to respect 'Fuqaha' and 'Muhaditheen' and had a very good heart. He [Muzaffar the King of Irbil] loved charity (sadaqa)... and built four hospices for the poor and sick... and one house for women, one for orphans, one for the homeless, and he himself used to visit the sick... 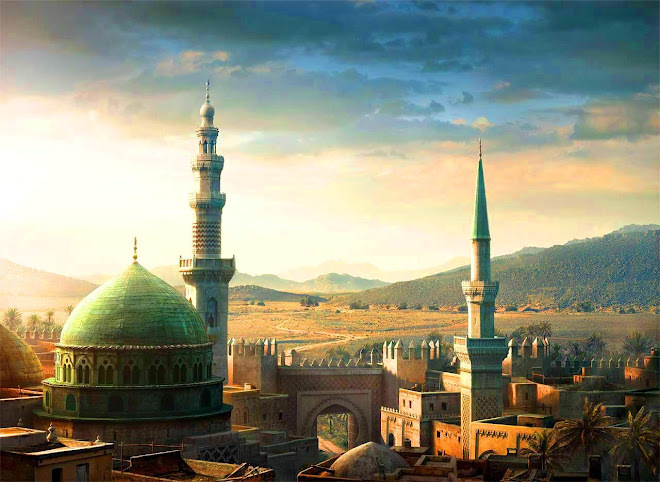 He built a madrasa for the Shafi`is and the Hanafis... HE WOULD FORBID ANY REPREHENSIBLE MATTER TO ENTER INTO HIS COUNTRY... As for his celebration of the Noble Mawlid al-Nabawi, words are too poor to describe it. The people used to come all the way from Iraq and Algeria to attend it. Two wooden dais would be erected and decorated for him and his wife... the celebration would last several days, and a huge quantity of cows and camels would be brought out to be sacrificed and cooked in different ways... Preachers would roam the field exhorting the people. Great sums were spent (as charity). Ibn Dihya compiled a 'Book of Mawlid' for him for which he received 1,000 dinars. He [Muzaffar] was modest, a LOVER OF GOOD, AND A TRUE SUNNI who loved scholars of jurisprudence and scholars of hadith, and was generous even to poets. He was killed in battle according to what is reported." 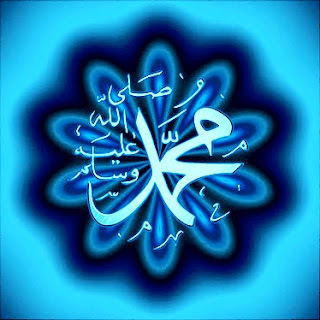 "He [Muzaffar] used to celebrate the noble Mawlid in Rabi` al-Awwal and organize huge festivities for it. He was a wise king, brave, a fierce fighter, intelligent, learned, and just. May Allah have mercy on him and ennoble his grave. Shaykh Abu al-Khattab ibn Dihya compiled for him a book on the Mawlid of the Prophet and named it al-Tanwir fi Mawlid al-Bashir al-Nadhir ("The illumination concerning the birthday of the Bringer of glad tidings and Warner") and the king rewarded him with 1,000 dinars for it. His rule lasted until he died in the year 630 [Hijri] as he was besieging the French in the city of Acca [Acre, Palestine] after a GLORIOUS AND BLAMELESS LIFE." The scholar revered most highly by Salafis/Wahabis in Tafsir & History. 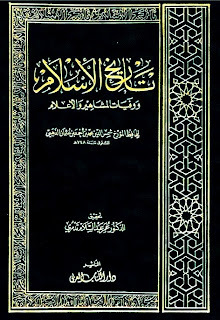 Imam Suyuti's 'Al-Hawi lil-Fatawi' 2 vols. (Beirut: Dar al-Kitab al-`Arabi, n.d.) 1:251-252. "Praise be to God and peace be upon those of His servants He has elected. The question has been asked about the celebration of Mawlid al-Nabawi in the month of Rabi` al-awwal: what is the ruling concerning it according to shari`a, and is it praiseworthy or blameworthy, and does the one who practices it obtain reward for it or no? 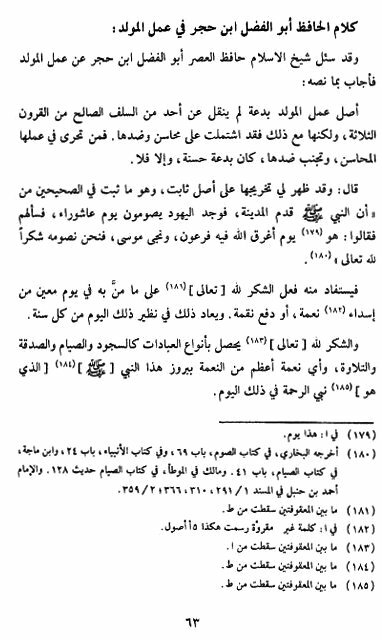 "I answer that the origin of the celebration of Mawlid, which consists in the gathering of people, the recitation of Qur'an, the narrating of accounts related to the beginnings of the Prophet (s) and the miracles that have been told as taking place upon his birth, and then in the giving of food to the people who eat and leave without adding anything to this, -- *this is one of the praiseworthy innovations* [huwa min al-bida` al-hasana] for the doing of which one obtains reward, because of the respect shown to the greatness of the Prophet (s) and the demonstration of joy and happiness at the news of his noble birth. 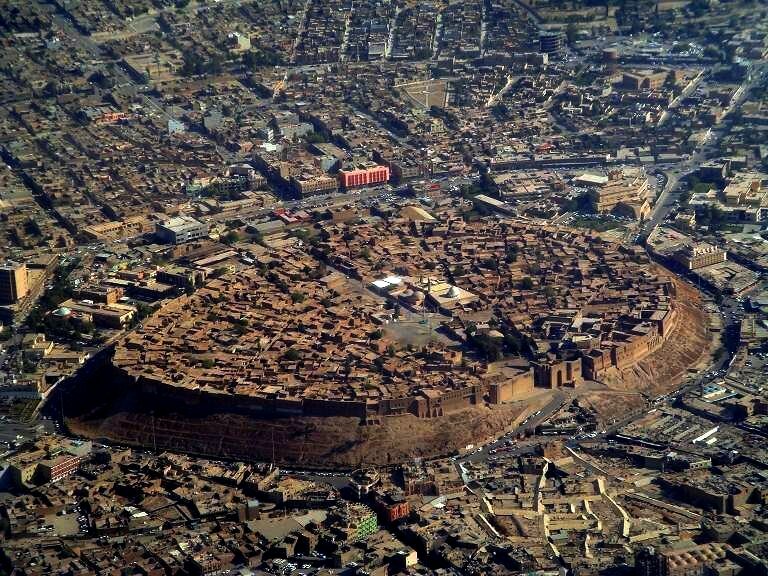 "The first to have innovated that practice is the ruler of Irbil, King al-Muzaffar Abu Sa`eed... one of the noblest and most generous kings (to have ruled). He left man good bequests. He is the one who built the Muzaffari mosque on the side of Jabal Qasyun [in Syria; it is said that Judgment Day will take place on that mountain]. Imam Qastalani writes: "In the month of the birth of Sayyidina Rasulallah (s.a.w), Muslims have always had assemblies. In the nights of that month, they gave charities and expressed happiness. They always increased good deeds in those nights. They always made arrangements to perform the Milad of Sayyidina Rasulallah (s.a.w) with the auspicious hope that Allah showers His blessings upon them. One of the experienced Barakah (blessings) of Milad is that the year passes upon them peacefully. May Allah send His blessings and favours upon that person who takes MiladunNabi as Eid; this Eid should become a reason of hardness upon that person who has disease in his heart." First: He (salallaho alaihi wasalam) arrived (in this world) on the Night of Mawlid whereas Night of decree was granted to him (afterwards), therefore the arrival of Prophet (saw) is greater than what has been granted to him, hence night of Mawlid is higher in virtue. Imam Qastallani (Rahimuhullah) also said: May Allah have mercy on the one who turns the nights of the month of the Prophet's birth into celebration in order to decrease the suffering of those whose hearts are filled with disease and sickness." Mullah Ali Qari writes: "Firstly, we see that it is permissible to arrange an assembly of Milad. It is permissible to participate in that assembly for the purpose of listening to the praises and character of Sayyidina Rasulallah (s.a.w). Inviting people and expressing happiness is permissible. Secondly, we do not say that it is Sunnah to celebrate Milad on any fixed night. Anyone who believes that it is Sunnah to celebrate Milad on any fixed night (and not in any other night) is a Bidati [wrongful innovator] because the Zikr of Sayyidina Rasulallah (s.a.w) is required all the time. Though indeed, the month in which Sayyidina Rasulallah (s.a.w) was born has more preference." "It is good to fast on the days that Allah (swt) honored and favored his servants." It is incumbent not only on Muslims but on all human beings to rejoice in his advent, the day of his birth. Allama Ibn Abideen Shami writes: "Every person who is truthful in the love of Sayyidina Rasulallah (s.a.w) should express happiness in the month of Rabiul Awwal. He should arrange an assembly for the Milad of Sayyidina Rasulallah (s.a.w) in which the incidents of his birth are explained with correct Ahadith. There is a strong hope from Allah that such a person will be included in the group of pious people blessed with the intercession of Sayyidina Rasulallah (s.a.w)." permitting the celebration of Milaad. 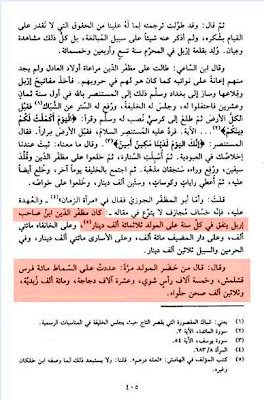 The grandson of Ibn al-Jawziyy mentioned in “Mir’at az-Zaman” that the elites of the scholars and the Sufis used to attend the celebration with him. So he asked them about it and they replied: "It is the day on which Allah drowned Pharaoh and rescued Moses, so we fast in it to thanks to Allah Most high," which indicates the validity of giving thanks to Allah for the blessings He has bestowed on a particular day in providing a benefit, or averting an affliction, repeating one's thanks on the anniversary of that day every year, giving thanks to Allah taking * any various forms of worship such as prostration, fasting, giving charity or reciting the Koran. Then what blessing is greather than the Birth of the Prophet, the Prophet of Mercy, on this day? in light of which, one should take care to commemorate it on the day itself in order to confrom to the above story of moses and the tenth of Muharram, [but] those who do not view the matter thus do not mind commemorating it on any day of the month, while some have expanded its time to any of day the year, whatever exception bay e taken at such a view. 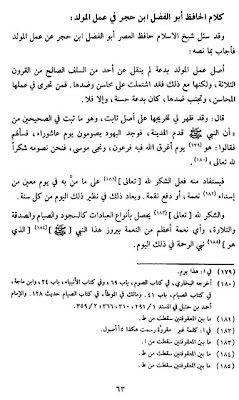 I have derived the permissibility of Mawlid from another source of the Sunna [besides Ibn Hajar's deduction from the hadith of `Ashura'], namely :The hadith found in Bayhaqi, narrated by Anas, that "The Prophet slaughtered a `aqiqa [sacrifice for newborns] for himself after he received the prophecy," although it has been mentioned that his grandfather `Abd al-Muttalib did that on the seventh day after he was born, and the `aqiqa cannot be repeated. Thus the reason for the Prophet's action is to give thanks to Allah for sending him as a mercy to the worlds, and to give honor to his Umma, in the same way that he used to pray on himself. It is recommended for us, therefore, that we also show thanks for his birth by meeting with our brothers, by feeding people, and other such good works and rejoicing." This hadith confirms the aforementioned hadith of the Prophet's emphasis of Monday as the day of his birthday and that of his prophethood. Imam Baihaqi said that Bibi Ayesha (radi Allahu anha), a wife of the Holy Prophet (sallal laahu alaihi wasallam) said that Prophet Ibrahim's Station (Footprint) was attached to "KAABA" during the Prophet's (sallal laahu alaihi wasallam) and Abu-Bakr's (radi Allahu anhu) time. It was not until the time of Hazrat Umar (radi Allahu anhu) who changed its original position. Ibn Hajar, the great Muhaddith said: None of the companions raised any objection against Hazrat Umar (radi Allahu anhu) for doing so and he was the first person to cover Prophet Ibrahim's Station (Footprint) in the state it is now. Ibn Hajar Al-Asqalani who explained Sahih Al-Bukhari said: "Every action which was not in practice at the Prophet's (sallal laahu alaihi wasallam) time is called or known as Innovation, however, there are those which are classified as 'Good' and there are those which are contrary to that". Imam of Imams Izzuddin Ibn Abd al-Salaam writes in his book "Al-Qawa'aid": "Bid'ah is divided into Wajib, Haram, Mandub, Makruh and Mabah. And the way to know which category it belongs to, is to examine it together with the laws of Shari'ah. If it falls in with the laws that deal with what is Wajib, then it is Wajib. If with those laws that deal with Haram, then it is Haram. If with the laws dealing with what is Mandub, then it is Mandub. 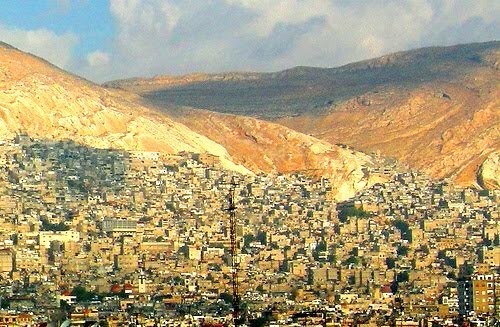 If with the laws dealing with what is Makruh, then it is Makruh. If with the laws dealing with what is Mubah, then it is Mubah". "As far as what people do during the Meelad, either as a rival celebration to that which the Christian do during the time of Christ's birthday or as an expression of their love and admiration and a sign of praise for the Noble Prophet (sallal laahu alaihi wasallam), Allah will surely reward them for such Ij'tiha". He then said: "Although Meelad was not practised by (Salaf), they should have done so since there was no objection against it from the Shari'ah point of view". Allama Ibn Qayyim al Jawziyyah, the best and most renowned student of Ibn Taymiyya, writes, on page 498 of "Madarij as-Salikin,"
"Listening to a good voice celebrating the birthday of the Prophet (s) or celebrating any of the holy days in our history gives peace to the heart, and gives the listener light from the Prophet (s) to his heart, and he will drink more from the Muhammadan spring (`ayn al-Muhammadiyya)." 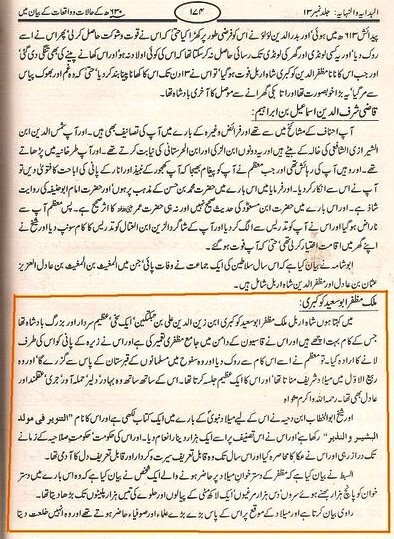 "Actually, celebrating the Prophet's birthday means celebrating the birth of Islam..."
He writes further: A Person who does not get happy upon incidents of Mawlid and does not thank Allah for such a great blessing then "SUCH A PERSON IS NOT MUSLIM"
Sheikh Abdul Qadir Jilani used to host gatherings and give gifts in joy of this occasion on the 11th of every month, which is now known as Giyarwi Sharif. This practise is still performed to this day. It is written in Abu Muhammad Siyal Naqshbandi’s famous Tazkirah Ghause Azam that the Sultanul Awliya Shaykh Abdul Qadir Jilani radia Allahu anhu celebrated the 11th day of every lunar month because inevitably it would go into the 12th doing a Mawlid every month. copy can be found in Cairo. 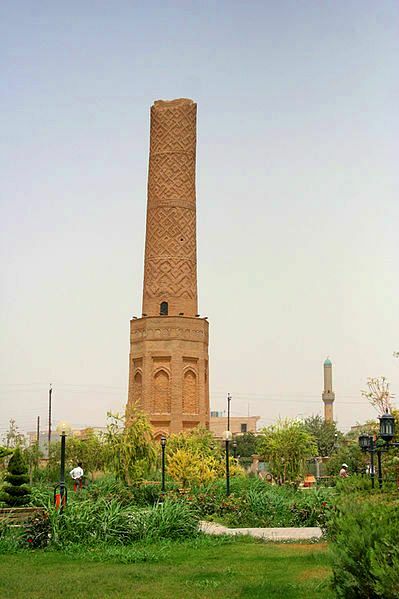 "He who introduces a new good Sunnah in Islam will be rewarded for it ..."
"The minaret was built in 1190 by Muzaffar al-Din Abu Sa'eed al-Kawkaboori, the king of Arbil.